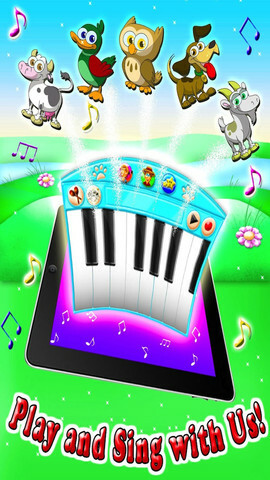 AZ PIANO REVIEWS: Best iPad Apps for LEARNING PIANO - What you NEED to know for Kids & Adults! Best iPad Apps for LEARNING PIANO - What you NEED to know for Kids & Adults! UPDATED REVIEW - May 1, 2018 - iPad apps for playing piano and music education for kids & adults - Why are iPad apps exciting, useful, and important? Learn about it here! After playing music and teaching piano (and other instruments) for many years, I have discovered (as other music educators know) that people learn in different ways. Some learn visually, some learn by listening/hearing, some learn by thinking/analyzing, some learn by touching, some learn by interacting in physical activity, and some learn by using some or all of the various ways in which people learn. There is not a "one size fits all" way of learning and understanding. For me, I'm a very hands on visual learner who likes to see & touch things so that I can interact with it, so an iPad with useful Apps (the word App is short for the word application which is like a computer program, only simpler) really helps me in this way and I use it quite often in my music studio and for work related things. iPad is not the only tablet device that has useful piano learning apps because you can get some on Android devices too, but I am mostly referring to iPad in this blog post. I have many young children in my extended family and they have become very proficient in interacting with an iPad and the various fun learning/educational apps that are now available, which makes me wonder if they are smarter than me now! The speed and accuracy these children have in being able to handle very complex apps is amazing to me and runs circles around many adults I know. In other words, there are more forms of learning these days than ever before and we are all growing up in the iPad world, and it will only keep growing. Of course you can use Android tablets and devices (cell phones, etc) and Android definitely has some advantages, but it's the Apple iPad that most music App developers work with. 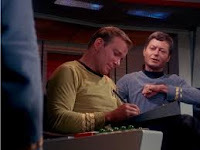 The first type of "iPad device" I remember seeing was on Star Trek the original TV series with captain Kirk, and then subsequently later with newer versions of Star Trek. In fact, if you look closely, you'll notice on those various shows how their handheld iPad type device got smaller and thinner as the years went on...interesting:) Whenever Captain Kirk was needing to give his written approval about something, it was on a very large and bulky iPad type device that was brought to him (usually he was sitting in his captain's chair at the time) by one of the crew and then captain Kirk would look at it, sign it, and give it back to the crew member. The TV viewing audience never actually got to see the front of the device because that technology didn't really exist so there was nothing to show. 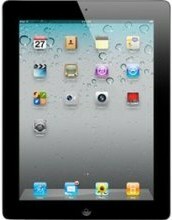 Then later is the next series, Captain Picard had a much smaller and more realistic sized iPad device to look at. But now all these years later since the Star Trek TV series first began in the 1960's, we have the "real thing" thanks to people like Steve Jobs of Apple, and it's very useful for a myriad of things. Kids, school students, blue & white collar workers, and people of all persuasions around the world are using the iPad (and Android tablets) for many daily activities they do. This includes obtaining and managing information, data, and our everyday lives, so if you have not incorporated one of these devices into your life yet, then you are increasingly becoming part of the minority. Certainly cell phone devices and larger sized laptop & desktop computers can give the information and gaming experience in a nice way, but that doesn't come close to the interactive visual touch experience you get with a portable and flexible iPad tablet, in my opinion. As far as learning the piano goes, there are some amazing Apps these days that really do aid in the learning and understanding of playing the piano and music in general. Whether the person is 2 or even 92, the iPad (it has more useful available apps than Android does at this point) is clearly a big help in getting and keeping kids motivated and learning important music concepts in a way that is more intuitive and fun than just traditional lessons alone in my opinion. 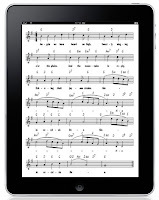 The apps do not take the place of a good piano teacher and lessons in general, but the iPad interactive learning experience adds to the overall experience and many people learn many music concepts more quickly and more thoroughly when adding the iPad piano experience to their lesson program. In fact, adults can learn an incredible amount about music and playing the piano without ever going to piano lessons and that's a great thing considering active adults don't usually have time to dedicate to regular local piano lessons. Besides the iPad tablet device,there are also actual piano lessons available now on-line with teachers through live conferencing as well as pre-recorded video piano lessons, but the local teacher is still necessary for that live one-on-one student-teacher relationship where the teacher can give specific training and feedback to the student which is very important, especially when it comes to playing technique, playing discipline, accountability, and overall motivation...and local group recitals and interactive playing with others. 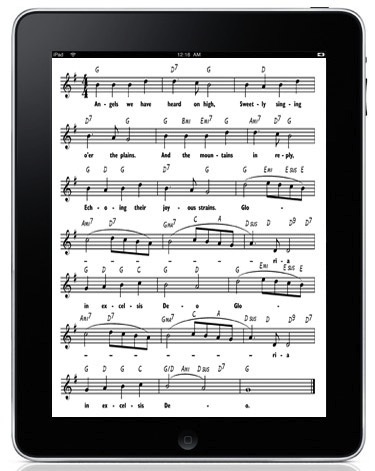 If you have never thought about using iPad piano related Apps with your digital or acoustic piano (or even if you don't have a piano yet), then you should. I use many of them in my teaching studio and wouldn't teach lessons these days without them. It's extra motivation and fun for the student (no matter what the age) and really does help drive some points home when it comes to visually understanding certain music concepts and training including sight reading, basic and more advanced music theory, timing, ear training, and so much more. There are apps for little kids, older kids, adults, and a mix of all ages. Some of the Apps allow you to connect a digital piano (like the new Casio PX780 - above left pic) with a core MIDI compliant USB connection and the app will respond to input from the keys on your digital piano. 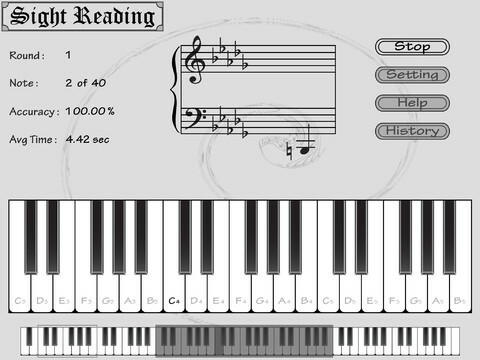 Other apps will "listen to the piano" and respond based on what it "hears" you do. In those apps you can use a regular acoustic piano or even another instrument or your singing voice to trigger a response. Other Apps allow only for input on a virtual iPad keyboard within the App so that you have to touch the iPad itself. That's OK because this kind of learning is still very useful in addition to playing on your own piano. There are also some new digital pianos that have WiFi connectivity to iPad and special apps to control the WiFi digital piano functions from an iPad. One such digital piano is the Roland RP501R (left pic). You can connect wirelessly through Bluetooth to the piano and you can play songs from the piano and see the music notation on your iPad with automatic page turning and ability to control the song tempo and some playback operations. It's a nice educational way to interact with an iPad. Some apps are lots of fun such as music games with the end result of learning something about music, and others are actual lessons, quizzes, and questions based on the info you learn from the app. But no matter how and when you apply the info, it is generally all good stuff because as I said earlier, not just one size fits all when it comes to learning. The more learning repetition a person gets (assuming the learning materiel is good) the better piano player and all around musician that person will be. In fact, with some of these iPad music Apps you can start your children learning simple music concepts as early as 2 years old in many cases:). Now I don't mean these very young children will start to play piano right away, but they will be so far ahead of the music understanding curve if they start using these interactive touch screen apps early on, that when they are about 4-5 years old, they will have a much greater music understanding than children who start out at 4-5 years old (or older) without the previous iPad music learning experience. What ARE some cool iPad music apps? Well there are many of them that are good but there are also some that are not so good either due to the app not working well or the concepts and material being poorly constructed or poorly executed. But there are plenty of good apps out there which give the piano learning experience that extra fun ingredient which students, older and younger, (and parents of young students) love so much, no matter what their skill level. A couple of the apps I like for young children are "piano bird," and "kids animal piano." For adults a few of them I like are "Piano Maestro," "my note games," and "read music." There are many other apps I like and use and some are MIDI USB compatible with digital pianos and some are not. However, regardless of how these Apps connect with your digital piano, I would recommend them if all possible. You should consider purchasing an appropriate digital piano that would give you the best connectivity with your iPad so that the apps would work directly through USB/MIDI and the piano would respond properly. There are a number of new digital pianos that can work well if you are interested in using iPad or Android tablet learning apps and I can help you learn more about useful piano & music learning apps and the proper digital pianos if you contact me directly. If you want more info on new digital pianos & iPad apps, and LOWER PRICES than internet discounts, please email me at tim@azpianowholesale.com or call direct at 602-571-1864. You have a few articles which mention that there are great apps, and apps that work with USB connections etc. You never actually mention the exact apps tho - just allude to the fact that some good and bad apps exist that may or may not support USB. Any chance you can provide a list of ones you've used and whether or not they support USB MIDI? Over the phone, you said you thought that I could use an iPhone or iPod touch with the Apple Camera Connection Kit. From what I've read, Apple has not enabled this functionality. You can do it, but it involves "jailbreaking" (hacking) your iPhone, which is more technical than most people want to deal with. You're right, though; the small screen might make it too hard to see and use anyways. I would rather try out some music apps with a keyboard without having to buy a new gadget, though. Nah, actually, I don't think I can justify it in my budget yet. Have you tried using Piano Tutor connected to a DP? I just downloaded the app and connected my Kawai CN34 using USB to device output to the ipad but the app won't recognize it. Using digital piano midi feature with ipad apps is a great concept but hasn't been executed well. Main reason i think being the usb midiconnection function isnt what apple officially support.yes there are some apps enable the use of a midi piano or keyboard but i have yet to see a very good one. On the other hand, on pc or mac there are quite a few that are done very well. 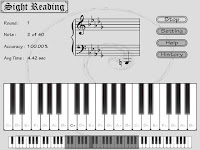 Piano marvel is one of them, really fully utilizing the midi connection with digital keyboaard or piano for interactive learning. So for now, i a, staying with a computer this task. Fortunately putting a laptop on top of a digital piano isnt too hard. Well, two years later and everything has changed. I use several midi keyboards with my iPad and they all work wonderfully. I have two interfaces that I use (Griffin Studio Connect and Focusrite iTrack Dock) but there are plenty of other good ones available. SightReadPlus gets rave reviews from teachers and students. This app works with acoustic piano. Or view in the App Store https://itunes.apple.com/us/app/sightreadplus/id635326147?mt=8.